Powerful Python and Django IDE. Professional Edition. Thanks for your comments guys, @wizpig64 I consider that pycharm-professional must use the JBR, due that JetBrains apply several patches to the original JDK then I don't think necessary have another package like *-native-java (but it is open if you want), I changed it temporally to no-JBR for fix some problems, but I'm seeing that no-JBR come with other problems, I'm sorry for the inconveniences. In the correct order to update this package, I should not update to 2019 until JetBrain fix the issues with HiPDI, but considering that this affected few people and being democratic, I just updated it to 2019.1.1 with JBR. 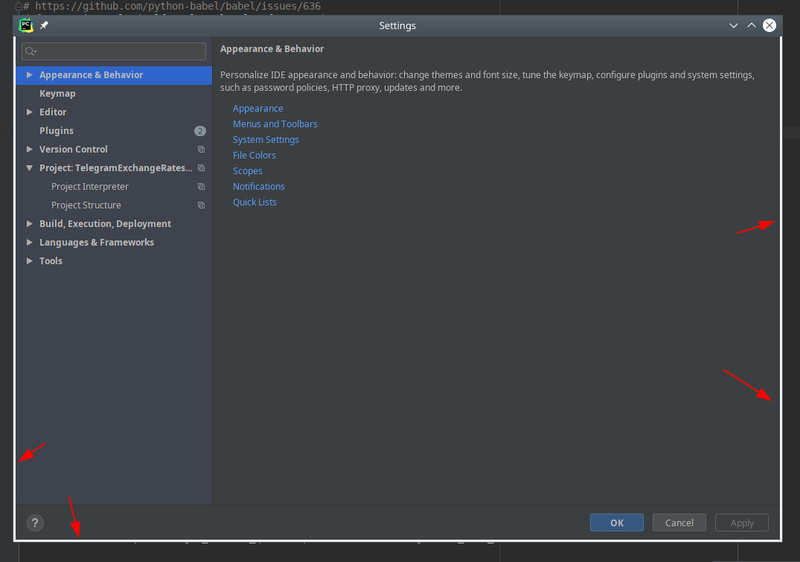 Thank you for coming back PyCharm with JBR! @ilinojkovic check if the old package is in /var/cache/pacman/pkg/, else you need to build manually with makepkg, if you need more help use the wikis or forums. For anyone trying to fix PyCharm opening RST files, switch the preview panel renderer from JavaFX to Swing in Settings > Languages & Frameworks > ReStructured Text. It looks like the JavaFX renderer was broken when this package switched off the bundled Java runtime onto the native system one. This is a repeat of another bug in 2017, something about font subpixel rendering 8 pages back. Eventually the repo switched back to bundled, and I no longer had to edit the PKGBUILD with every update. Now a bug appears, the switch is made again, and more bugs appear. Switching to native Java in order to fix bugs seems to have a history of creating more bugs. Not to mention creating the work of having to manually edit PKGBUILDs! @XavierCLL, what do you think of the idea of using two packages for this scenario? Something like pycharm-professional and pycharm-professional-native-java. Then if a user encounters a bug (like hidpi), they can find a pinned comment here saying to switch to the other branch? From a user experience point of view, having the switch be made for us is destructive, and fiddling with PKGBUILDs and checksums is no fun when we'd rather be developing. I think it makes more sense for the AUR repo to have single opinion on the matter of its dependencies, especially when there are real tradeoffs between the versions. An alternate opinion belongs in another repo with provides: pycharm. Thank you for spending your time maintaining this repo for the community! @XavierCLL In my opinion, JetBrains has reasons to use its own java runtime implementation. And I use Manjaro Linux, not an Arch Linux, so I don’t want to keep track of additional dependencies. And with the random next update, their unexpected incompatibility (system java and PyCharm) can lead to problems that can be avoided if just do not complicate these things. In addition, I do not have HiDPI displays... Therefore, this did not affect me. But I hope that this bug will be fixed and you will be able to release the next version with JBR as before.